I was adopted first ...I am the King.....I am 30+ years old now. I am in love with Dolly the yellow front, but she won't have it. 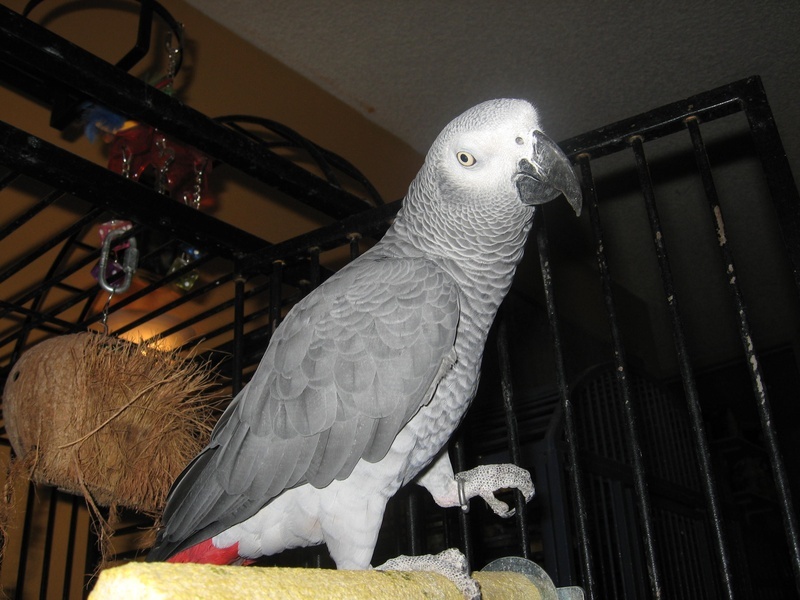 I also have eyes for Alex the grey, but she only lets me kiss her throught hte bars of her cage. Thats progress though. Maybe someday I will have a wife? Until then, I will continue to be a big flirt.